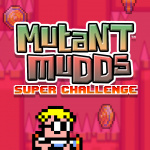 Mutant Mudds Super Challenge may not have '2' in the title, but it's shaping up to be an intensely challenging follow-up for fans of Renegade Kid's original action platformer - Mutant Mudds. Following the first game's break-out success on the 3DS eShop, in particular, this one's sure to get quite a bit of attention from download aficionados. Promotion: Loyalty Discount - Save 15% if you own the original Mutant Mudds or downloaded the [email protected] Preview demo - offer available for first 30 days of launch. With 40 new levels spread across multiple words, in addition to boss fights and 20 playable secret characters, this one certainly seems to have a lot to offer; based on the [email protected] demo it'll keep determined players busy for quite some time. Are you interested in picking this up on 17th March, especially with the loyalty discount offer and cross-buy? Let us know. Easiest day one buy I've had in a LONG time. Love how they have Cross-buy here, but refuse to add it for the SNES games. @iamDTS That's Renegade Kid's decision to implement it, not Nintendo's. I like that there is cross buy as well as a discount for Mutant Mudds owners. That's quite generous. Bought all of the previous Mudds on day one, this will be no exception. Appreciate the loyalty discount. Yeah, very glad to know Treasurenauts is one step closer to release now. @iamDTS Like Tops said, that's entirely up to RK (the developer, not the host system's company), not Nintendo. Sounds excellent! I'll gladly support Renegade Kid, and crossbuy/Discount!??! This is the right way to do it! Haters love to hate on the style, but the fact is that MM is a really fun platformer with serious challenge and great music. Bring it, Jools! Crossbuy and discount ahoy! Would have bought it anyway, but cross buy AND loyalty bonus? Good stuff! The first one was satisfying to complete. I've played the demo a few times and that's about it. However, cross-buy and that 15% discount (because...said demo) really intrigues me! Loved the old one, will love this one. >Indie Developer implements cross-buy for a newer game. >Nintendo doesn't implement cross-buy for 20+ year old games. I really liked the first one so day one purchase for me , perfect price point and the cross buy is awesome sauce thank you Renegade Kid hope you have massive success with this looks like you will . I'm looking very forward to Treasurenauts as well looks amazing . So many good reasons to buy a game I was already going to buy. Also, TWENTY playable characters??? 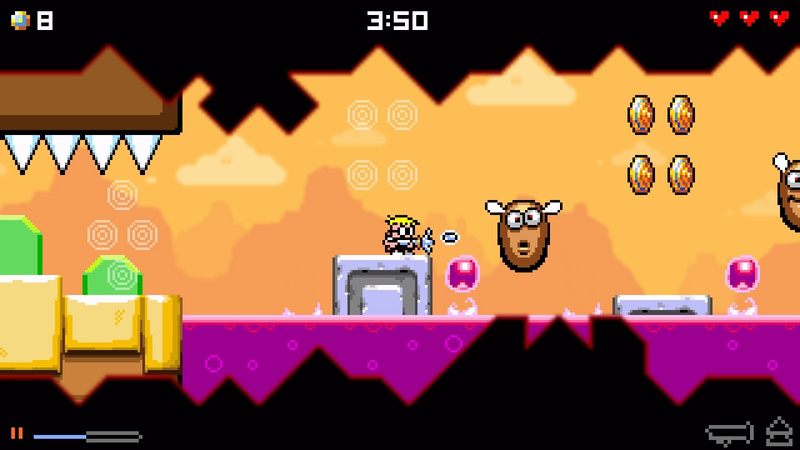 Will they now consider releasing Mutant Mudds Deluxe on Wii U in Europe/Australia now that IARC is in effect? 1. The first game was great and the preview of this was also great. 2. Releasing in Europe same day as NA. Rare for Renegade Kid. 3. Renegade Kid does what Nintendon't (Cross-buy). 5. It's out on my birthday. Smart business decisions like this need supporting. Thanks Renegade Kid. It's nice what they are doing with the crossbuy and loyalty discount but I wont be taking advantage of it.The game just isn't very good from what I've played.An average platformer with punishing difficulty to disguise the tedious adventure.After watching some videos of the original that was the impression I got and the Nindies demo just confirmed that for me.The Wii U is home to some of the greatest platformers ever made,old and new.I have no time to play average ones. 3 days after my YouTube anniversary you say? First game wasn't that great. Actually, I'm getting away from Renegade Kid stuff, I never purchased a game from them and ended up fully satisfied. Most are extremely short and lacking experiences. I might support this simply because of the cross buy. Happy to see some developers listening to their customers. Quality sounding like a good deal all round. I wonder if some of the twenty secret characters are from other indies? Imagine the guest cast from Runbow in this!